The 11th annual Decatur Book Festival (DBF) proves that you definitely cannot judge a book by its cover. 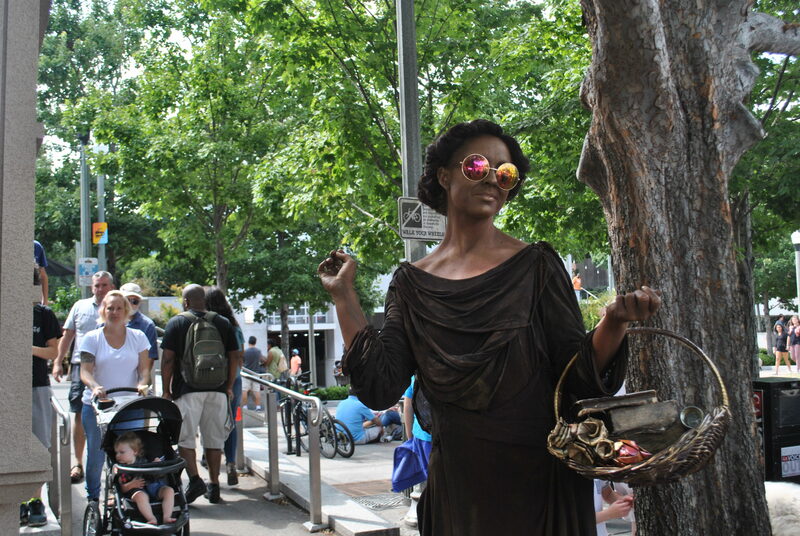 Hundreds of books were displayed last weekend, but it was also the food, families and entertainment that kept the crowds flipping pages and stuffing faces all weekend long. One of the busiest tents at the festival housed the Emerging Writers Stage. 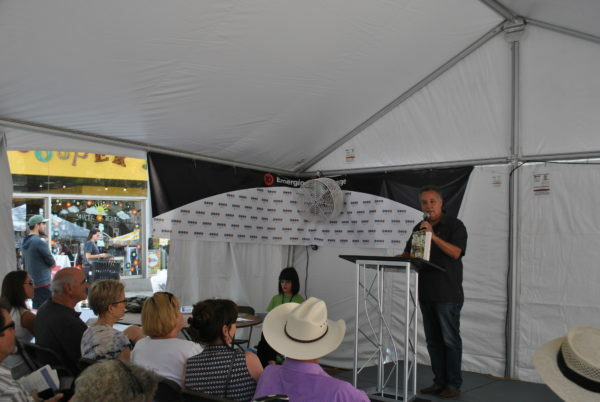 A vast lineup of new, up and coming authors shared their work to everyone under the tent before promoting book sales and signings. A staple in Atlanta’s atmosphere is the ample opportunities to network and promote yourself and your work. The Emerging Writers Stage was the perfect idea for that. Listeners were exposed to many different authors of all ages, races, religions and occupations who shared their stories with the audience. Whether it was TJ Morris’ Sci-Fi books, Joy Jinks’ self-help books, or Bridgette Brown’s law enforcement educational books, there was one theme that transcended all genres. Every author’s work was a remarkable reflection of his or her own life. Being the largest book festival in the nation DBF was surely the place to share their stories and market their books. In the midst of adults discussing books with hundreds of pages, and not one picture included in them, the laughter of children was definitely a pleasant surprise at the festival. Surpassing expectations of the average book festival, DBF was incredibly kid-friendly. Crossword puzzles, temporary tattoos, popsicles and children’s’ books made the festival suitable for full family fun, no matter the age. 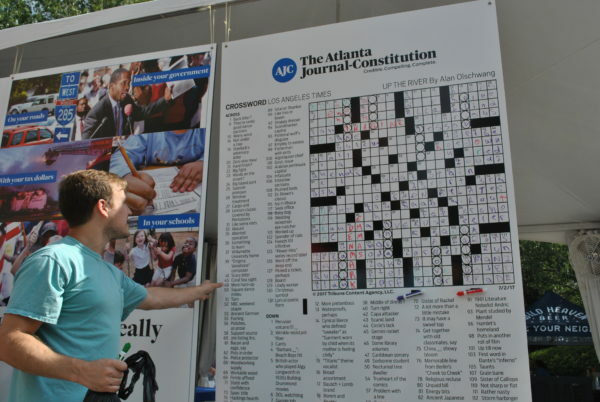 A teen/young adult stage hosted talks on topics ranging from magical realism to “Women Warriors.” The games and children’s tents kept them occupied with their nose in a book or seeing who could find the most words on jumbo crossword puzzles. To eat, or not to eat? That was the question all the festival-goers had to ask after they made it past tents of books and authors and the answer to that question was simple: eat. Readers could indulge their taste in books and burgers at DBF. With diverse options of Mediterranean, Mexican, Creole, American classics and more, books weren’t the only works of art at the event. The festival also offered a chance for some local culinary artisans to showcase their product. 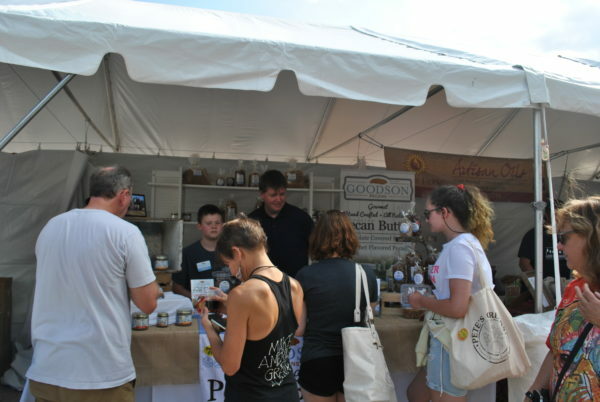 Bringing in vendors that offer foods grown right in the city’s backyard is a great way to get customers flocking to the many hidden hometown gems here in Atlanta, and to create an even stronger sense of community. People love to know that there are local options that they can buy and that an event as big as the DBF is supporting them. 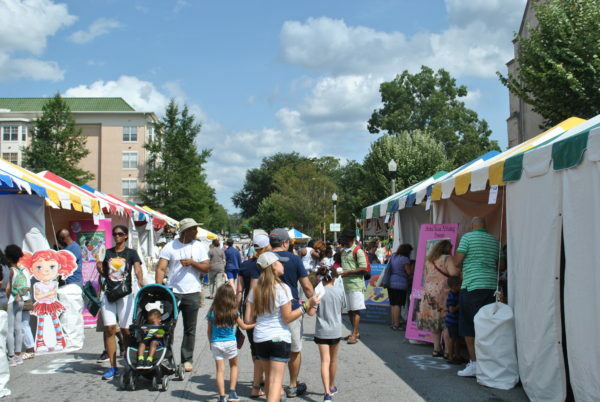 The Decatur Book Festival was, without a doubt, anything but average. Just judging by the sheer number of people that attended the festival, the DBF is hands-down ATLien bookworms’ number one event of the year. The food, the family, and the fun, only left one question: how are they going to top it next year?